No one can deny that knitting has its own charms and its a calming activity for body and mind. It can even be considered a meditation form. 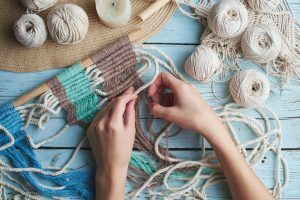 You can see knitting as a hobby but some studies suggest that knitting has surprising benefits for you. Knitting induces almost your whole brain. The frontal lobe is in charge of rewards, attention, and planning. The parietal lobe is in charge of sensory information and navigation. This combines with the occipital lobe, which is in charge of visual information. The temporal lobe, for memories, and the cerebellum which is in charge of precision and timing of movement. When knitting, you stimulate all these lobes at once. It increases motor skills and can be used to help people with diseases related to motor functions, like Parkinson’s. While your motor skills benefit from knitting, it also helps your brain to stay healthy. The more you use your brain, the healthier it gets. Healthier brain means, stronger memory, and a calm and steady mood. This can prevent or slow down dementia. Let’s not forget about our joints’ health. As long as you use your joints, they will stay healthy. When knitting you use your hands, you keep them healthy, make them stronger. 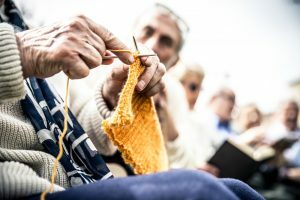 Knitting can help prevent arthritis and tendinitis. 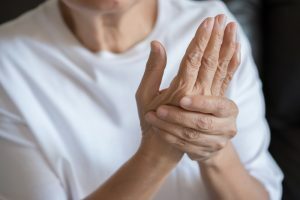 Already have arthritis? Don’t worry. Just soak your hands in warm water and gently knit your creations. Those are the benefits for your body but knitting has more benefits to come. 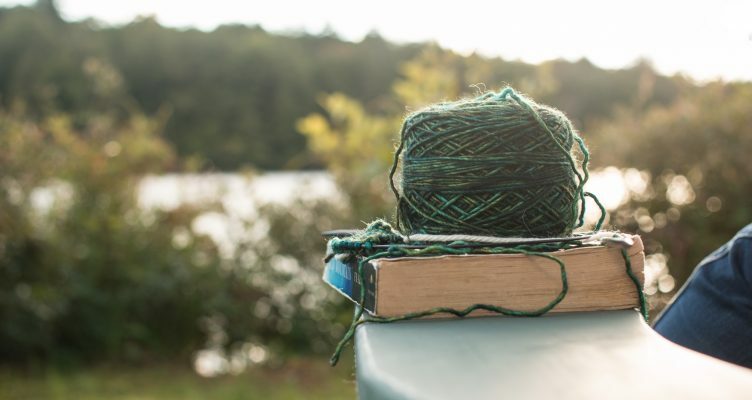 When you get good enough with knitting or crochet, it can become a very relaxing activity. When you do the same stitches over and over, you can zone out, clear your mind and use your muscle memory do the job for you. The repetitive motion has the same calming effect on your mind as a meditation session. The repetitive movements required to create a pattern release serotonin in the brain, which can lift moods and reduce pain. The meditation effect and the sense of focus can be helpful for you to get distracted from your daily worries. 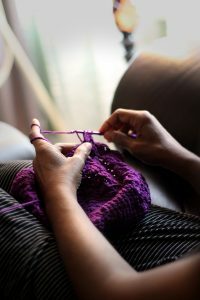 Knitting and crochet can help with symptoms of anxiety, depression, and stress. Sitting still when knitting reduces your heart rate and even it can help with high blood pressure. Also, some studies show that people who knit, have a reduced chance of developing mild cognitive impairment. Last but not least, knitting gives you a sense of pride and accomplishment. After your hard work, dedication and long hours, you get to see your own creation finished and there is no greater feeling than that. So lets knit, create, enjoy!